The primary purpose of a root cellar was to store farm products in a uniformly cool environment, in order to keep them eatable through the winter, for home consumption, sale, and livestock feed. These included roots (beets, carrots, parsnips, potatoes, radishes, rutabagas, and turnips) and other vegetables (such as cabbages, onions, pumpkins, and squash) as well as eggs and dairy (milk, cream, butter and cheese) and meat products (salt pork and smoked meats). Despite the name “cellar”, most structures in the islands were not fully below ground, but either embanked or partially buried into a slope or the ground to take advantage of the more constant, cooler temperature of the soil. 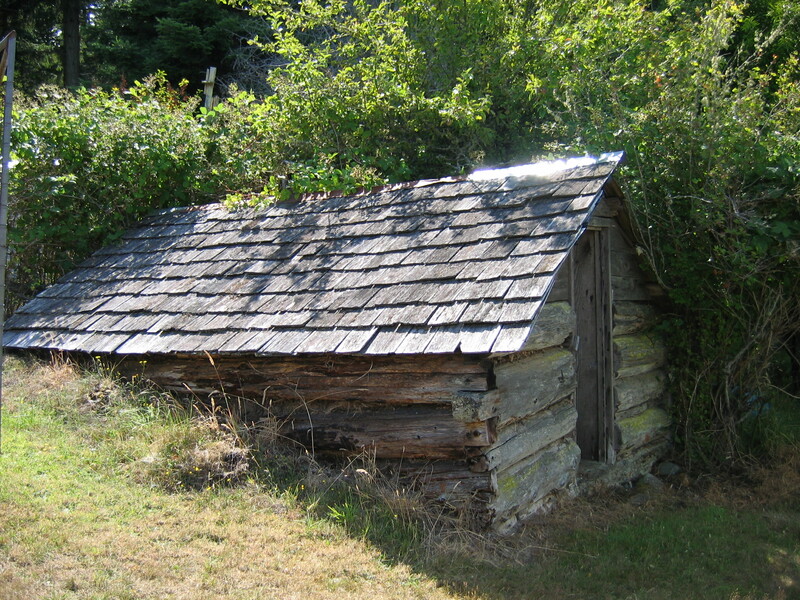 Most root cellars have thick walls, some of which were insulated with sawdust, although in one instance dirt was inserted between the outer (log) and inner (sawn boards) walls. In order to keep the interiors cool, ventilation was provided by means of an opening centrally-located in the ceiling, with a shaft through the roof, which would draw out warm air.